If you're like most people, you have old towels lying around your home that you just haven't gotten around to tossing out yet. Before you send them to their grave, consider a few ideas. 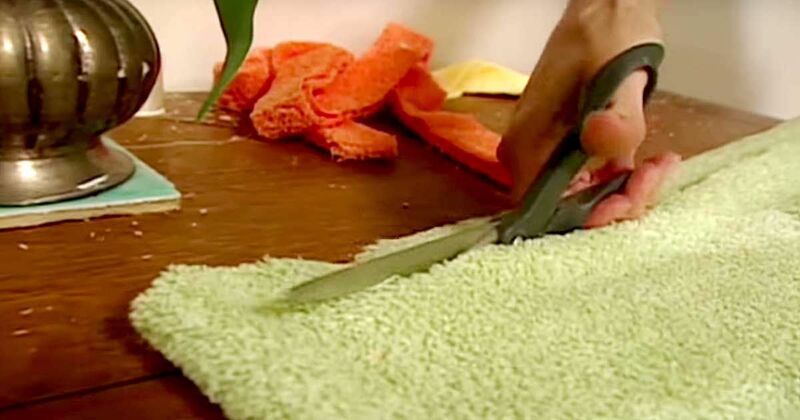 We have collected 16 nifty DIY tutorials on how to repurpose old towels. These projects are great for people of all ages and craft levels. 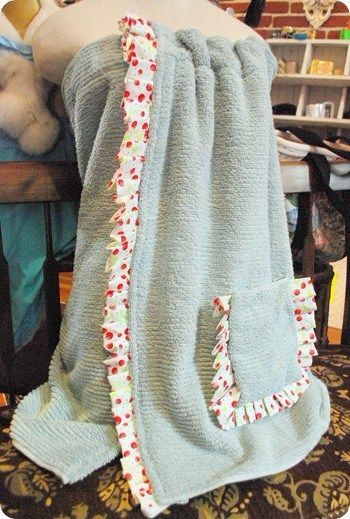 You can turn your old towels into washcloths, bags, bibs and even cats. Yes, folks, cats. Read on for your next potential DIY project. You may never need to purchase a new washcloth again. What a great way to save money and be eco-friendly. Here is the tutorial to get you started. 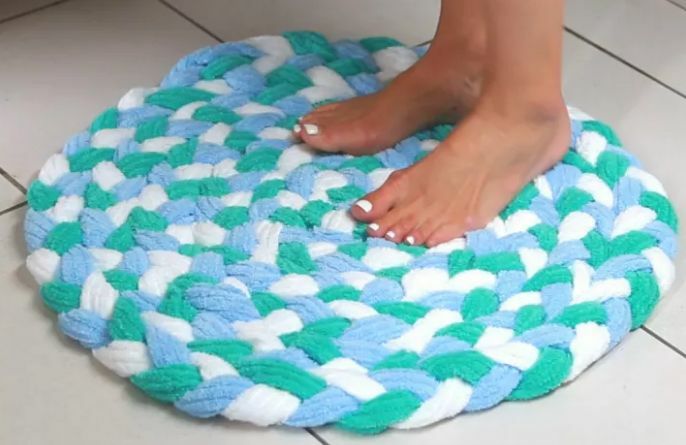 We are in love with this colorful bath mat! It is so soft and luscious. Check out this full tutorial on how to make one (includes a video tutorial too!). 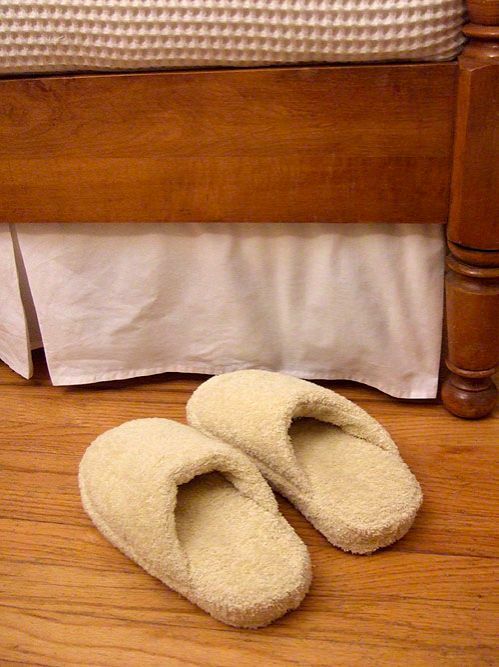 These soft, fluffy slippers are perfect for chilly weather. 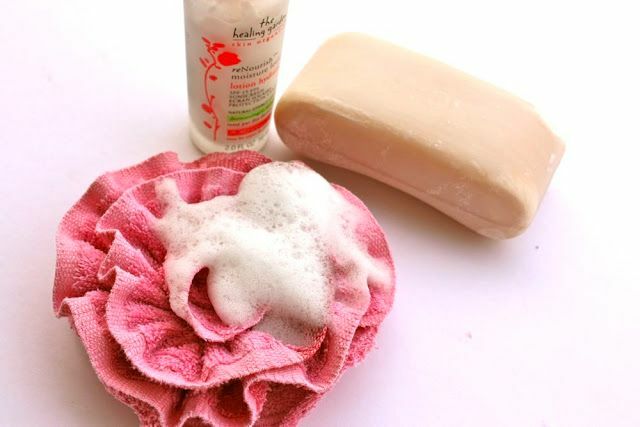 Make your own using your old bath towels by following this easy DIY tutorial. All you need is a pair of old flip-flops, batting and sewing skills. Recycle your old towels into bath poufs. These scrubbies make perfect shower buddies. 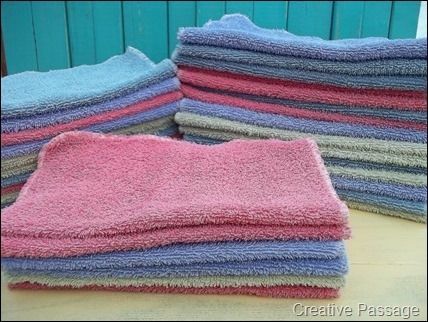 Imagine how many scrubbies you can make out of an old towel. You will soon be on your way to saving the earth. Hooray to eco-friendly projects! Here is the tutorial to get you started. Have a good 20 minutes to spare? 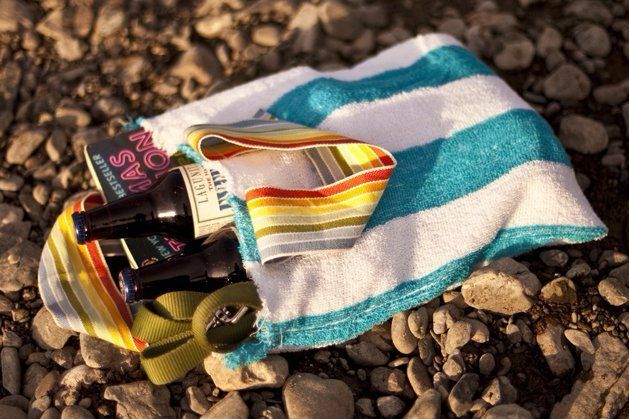 Check out this tutorial by MakeZine to create this towel beach bag. Toss in your favorite drinks and novel, and head down to the beach. 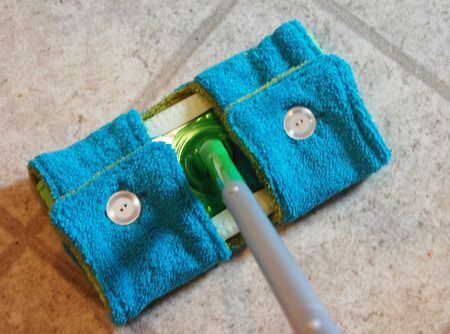 Turn your old towels into these reusable swiffer covers. They slide on easily and attach securely to the head with buttons. The cover is even reversible, so choose your favorite colors and get sewing. Check out the easy DIY tutorial here. This simple sewing project is perfect for sewers of all ages and levels. Here is the easy DIY tutorial by Centsational Girl. 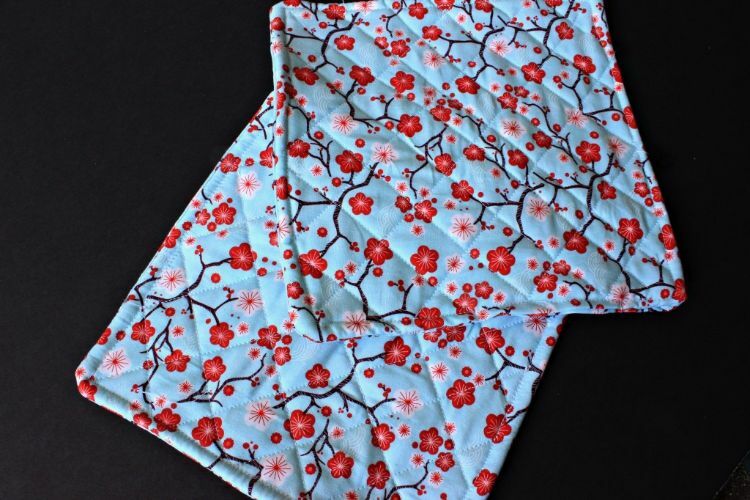 This spa towel wrap is a great gift for ladies who love a good relaxing soak. 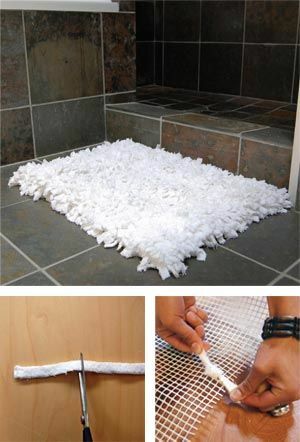 Recycle your old towels to recreate these fantastic bath rugs. What is great about this project is that it is eco-friendly, simple and aesthetically pleasing. We love the shaggy look! Check out the tutorial here. Sew these cute bibs for the baby in your life using this tutorial. It is a simple DIY that's perfect for beginner sewers. These bibs make fantastic baby shower gifts. Give it a try. Pot holders are handy in the kitchen, especially when you're taking the lids off hot, steamy pots. 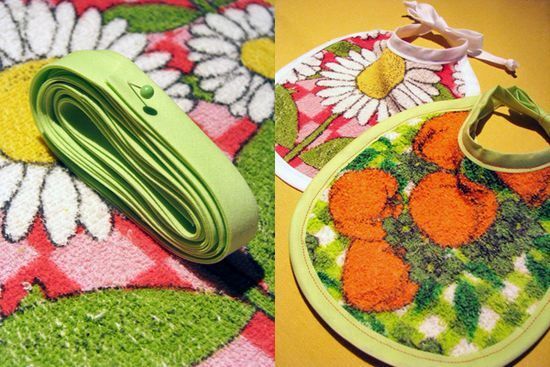 Use your old towel and some patterned cotton to create these lovely pot holders. Here is the tutorial. 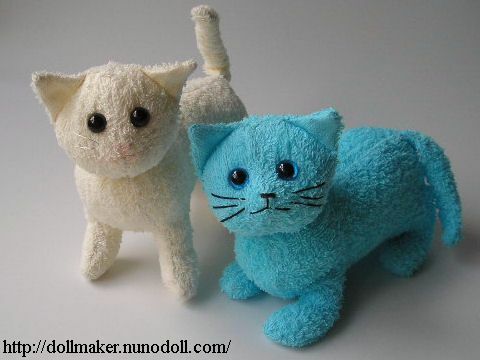 How cute are these towel cats? These are perfect for kids or a gift for a cat lover in your life. Check out the quick and easy tutorial here. 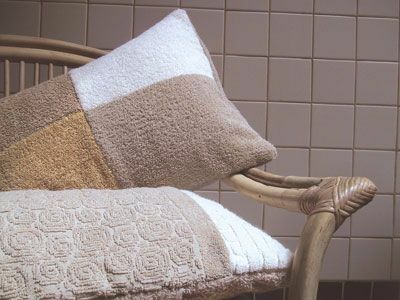 Go through your old towels for interesting color and pattern combinations to create your own eco-friendly pillows. Use them to decorate your sofa or outdoor benches. Check out this tutorial by Mother Earth Living. If you want to get organized but lack storage space, this cloth caddy is your solution. Hang it behind your door or from a handle or on the wall, and voilà! You've got yourself some neat storage. Here is the simple DIY tutorial by Martha Stewart. 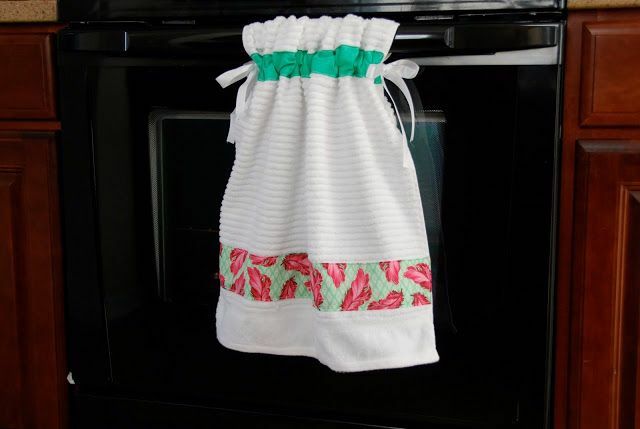 Class up your kitchen with this towel made from your old towel and cotton fabric. Follow this detailed tutorial to make your own. 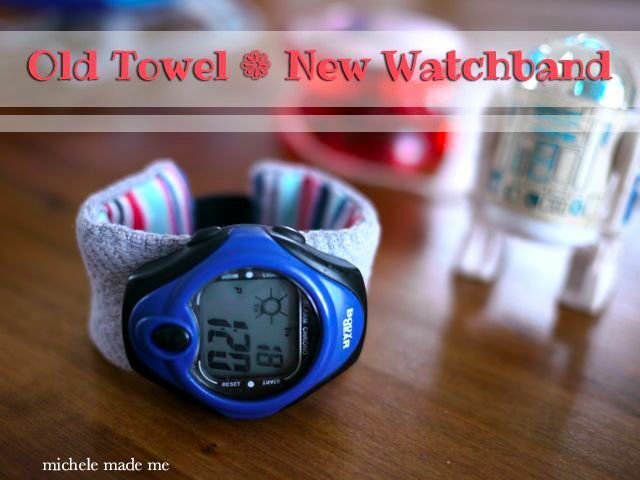 Who knew you could use an old towel to make a watch band with some simple sewing? Here is the DIY tutorial to get you started. 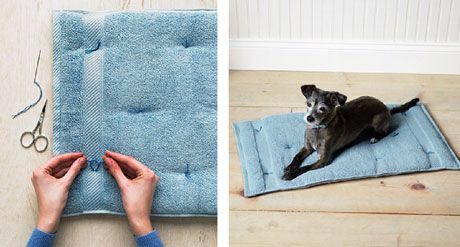 If you've got a furry friend, turn your old towels into their new cushion with this fun and easy project by National Hospitality. Gather your old towels and create many sets of cushions for all the fur buddies in your home. Did you find your next DIY project? 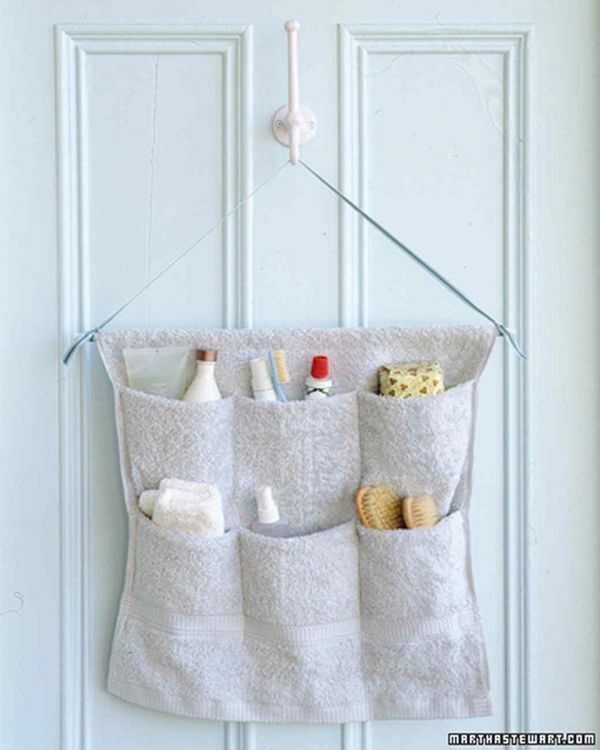 Share these awesome tutorials with your friends who want to repurpose their old towels, too!